December 4-6, 2019, Philadelphia, PA — Registration opens May 15, 2019. The cost of attendance is $800 for individuals who are having their costs reimbursed or covered by an organization and $650 for individuals who are paying independent of an organization. We also offer a student/early career professional rate of $450 for current students and those who have completed their degrees in the past 2 years and are not being reimbursed by an organization. (Please note that proof of enrollment or graduation may be requested). 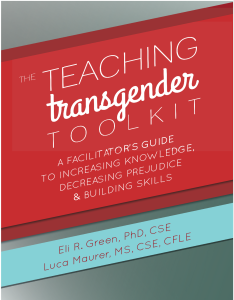 In order to get the most out of this TOT, all attendees should have and a strong foundational understanding of transgender identities/experiences and ideally some experience as a trainer /facilitator. 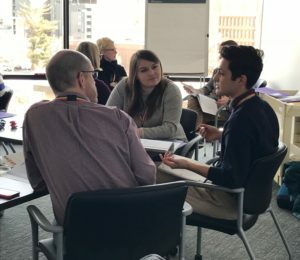 Participants who do not have a solid foundation should consider signing up for our Ally/Advocate Training Camp prior to signing up for our TOT. Registration costs for the 3-day training include a copy of The Teaching Transgender Toolkit, snacks and beverages, and access to the TTI TOT Alumni private Facebook group, and a contribution to the scholarship fund to help support individuals who would not otherwise be able to attend the training. For TOTs hosted in Philadelphia, we also include lunch from local businesses on each of the training days. Early registration is recommended, as these do consistently sell out! Payment can be made through Eventbrite at the registration link below. Once you have completed your payment, you will be directed to a participant survey to finalize your attendance. If you need an invoice or would prefer to send a check, please email us and we will send one over. Have questions? Please visit our TOT FAQ page. Looking for other dates? Can’t make these dates? Sign up for our low frequency mailing list or follow us on Facebook or Instagram to be the first to know when a new offering is announced! We generally hold TOTs quarterly, with two in the summer.